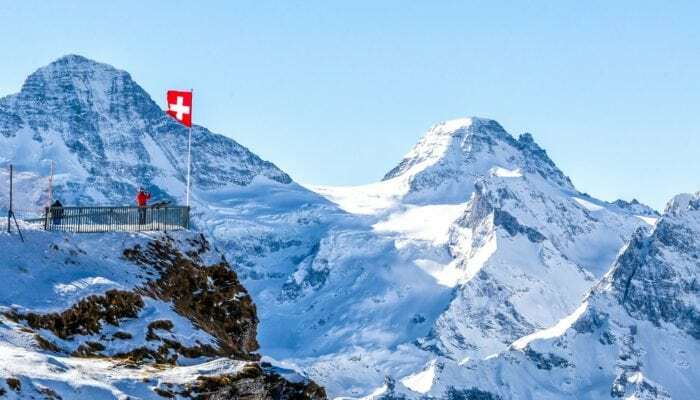 Swiss Alps: A military-grade bunker has opened its vaults to permit wealthy cryptocurrency investors to securely store their coins. Think of the operation as a sort-of Swiss bank account for digital assets. Because the Swiss Crypto Vault doesn’t mix client’s digital assets with the company’s own, it doesn’t need a banking license to operate. This has permitted the Vault to position itself as a quasi-private bank for coins when most traditional banks refuse to hold them. The Vault also services a growing need from high net worth individuals (HNWIs), hedge funds, and the like, to securely store large amounts of cryptocurrencies which are often targeted by hackers. Safety and security for crypto asset holders is paramount. Not only have there been hacks and thefts of online exchanges and wallets, there have even been instances where criminals have forced themselves into peoples homes and demanded the private keys necessary to access the homeowners crypto funds. The Vault, and alternatives like rival Xapo — which also operates out of a similar decommissioned military bunker — come as a growing number of HNWIs and institutions are investing in blockchain-based startups via initial coin offerings (ICOs). ICOs, where startups generate public funds by offering tokens that can be used to operate new technologies or simply to trade for potential profits, are a massive growth sector for the cryptocurrency industry. The crowdfunding method raised some $6.3 billion in the first three months of this year, easily surpassing the total accumulated for the whole of 2017. According to experts, more than 80% of these funds are being generated by HNWIs and professional investors. Switzerland’s reputation for being a crypto-friendly destination as well as a place with growing blockchain expertise led Swiss Crypto Vault to bury its ‘banking grade’ servers in a secret location in the Alps. To access their funds, clients utilize a special web portal that permits them to withdraw coins from anywhere in the world. As is often the case with these vaults, an extra layer of security requires the client, Swiss Crypto Vault, and also a third-party handling partner to simultaneously verify withdrawals. This is somewhat similar to the system of multiple key holders being needed to open a safe deposit box in a bank vault. Swiss Crypto Vault is a joint venture between Zug-based crypto financial services firm Bitcoin Suisse and Swiss Gold Safe, a company that stores precious metals, art, and other valuables in Alpine vaults. Currently, clients can store Bitcoin, Bitcoin Cash, Bitcoin Gold, Litecoin, Ethereum, and all ERC20/233 tokens. The Vault plans to add more options in the future. Despite the fact that Swiss Crypto Vault considers its setup unique, other companies are utilizing similar technologies to safeguard cryptocurrencies too. Zug-based Crypto Storage is one, and also the state-controlled telecoms provider Swisscom. The newly-formed Swisscom Blockchain division has teamed up with hardware and software manufacturers to provide a secure storage service for big investors.